The Board of Trustees of the Public Foundation for Modern Art and the management of the Institute of Contemporary Art (ICA-D) render thanks to its sponsors and supporters because without their help the programs of the ICA-D couldn’t be realized. 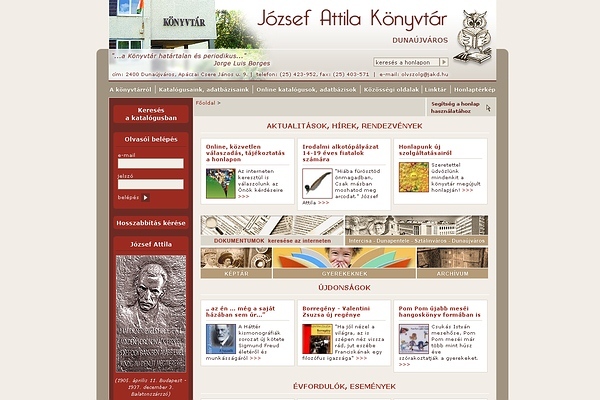 The Municipality of Dunaújváros, which apart from covering the basic costs of ICA-D also provides the financial basis for some of its programs (publishing catalogues, realization of the Éjszakai Átszálló (Night Transfer) mini art festival, the Exhibitions in Dunaújváros and Fejér County and of certain programs for children and youth). The National Cultural Fund on the tenders of which the PFMA / ICA-D regularly wins sums that make the realization of 50% of our projects possible. Dunanet Design Studio that helps the web publication and the maintenance of the electronic communication of ICA-D by providing free services.